Ex Machina. 2015, a healthy 7.7 stars on IMDb. 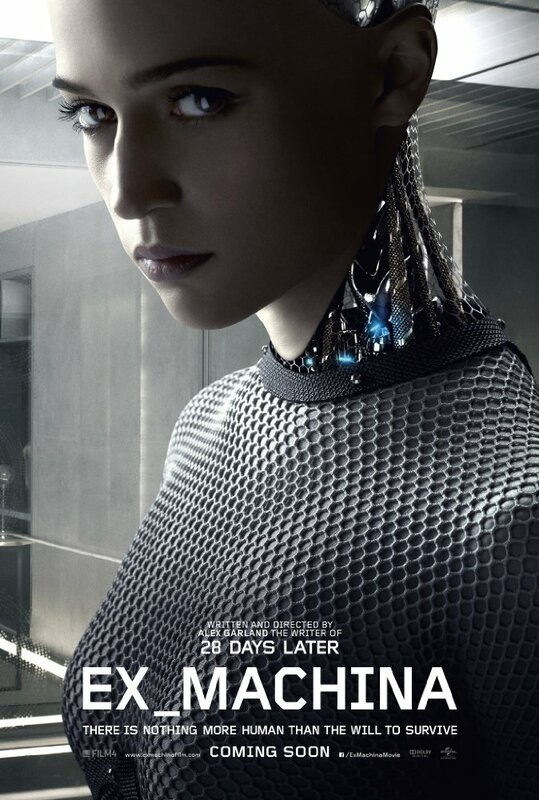 Written and directed by Alex Garland and starring Alicia Vikander, Oscar Isaac and Domhnall Gleason. Nominated for two Oscars, it won Best Visual Effects against a strong competition – Mad Max Fury Road, The Martian, The Revenant and Star Wars: The Force Awakens (which amusingly also starred Domhnall Gleason and Oscar Isaac). I *really* liked this film. Super small scale, super tiny budget (a mere $15 million), essentially a three-hander between Vikander, Gleason and Isaac exploring what it means to be human. The cinematography is fantastic given the somewhat cramped setting of the bulk of the movie, with some interesting scenes between Caleb and Ava where he’s conducting his Turing test – even though he’s the one doing the questioning, she’s the one in the larger room with space to move around. It’s a neat touch. I also loved that Nathan had a crazy wall of post-it notes to help him design something as complex as Ava. I can see why the film won the visual effects Oscar. Most big-budget sci-fi movies rely on massive spectacle, often at the expense of plot – whereas here they’re brilliantly understated, but effectively done. Highly recommended. I’d give it 9 creepy robot AIs out of 10.